Chennai, May 2: Actor Livingston, known for his comic and character roles, is set to don the director's hat with the upcoming Tamil musical horror film "Madipichchai". He says direction has been one among his many unexplored personas. 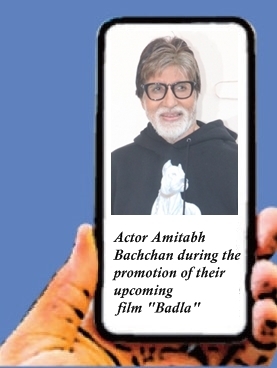 Chennai, May 2: Actor Jagapathi Babu says, "I am lucky to be acting with superstar Rajinikanth in his next Tamil film "Lingaa", which was officially launched Friday. Chennai, May 2: Telugu hit crime-comedy "Swamy Ra Ra", one of the low-budget hits of last year, will soon have a sequel titled "Swamy Swamy Ra Ra". Mysore, May 2: Superstar Rajinikanth-starrer Tamil film "Lingaa" was officially launched here Friday with a customary puja on the occasion of Akshaya Trithiya. New Delhi, May 1: Soundarya R. Ashwin, daughter of Indian cinestar Rajinikanth, has pulled off many firsts with her directorial debut "Kochadaiiyaan", touted as the country's first 'photo-realistic performance capture' entertainer. But pulling it off wasn't a bed of roses for the young woman, who dealt with the lack of technical expertise and worked around a "miniscule" budget to create it. Actress Nayantara, who is gearing up for the release of southern remake of hit Hindi movie "Kahaani", says she usually doesn't like women-centric movies because they are too much of a responsibility for an artist. Southern composer M.M. Keeravani posted a voting "suprabhatham" video Wednesday while assembly polls were underway in Telangana to encourage city dwellers to vote as enthusiastically as people from villages and smaller towns.